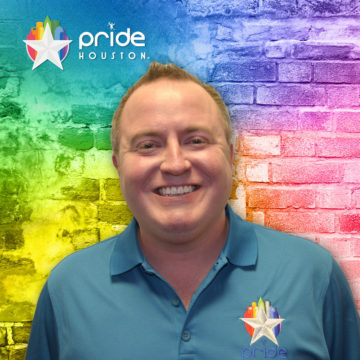 Greg Griffin – Pride Houston, Inc.
Greg Griffin is the Director of Client Development for the boutique estate and probate litigation firm Ford + Bergner LLP based in Texas. Prior to taking this role in 2018, he served as Director of Business Development at Mehaffy Weber. He originally started his legal career while working for his mother as a reason to miss a few hours a day of high school. In 2014, the Houston Business Journal awarded Greg “Honorable Mention” on the 2014 “40 Under 40 list of Houstonians in Business”. Greg served as the Chair of the Houston City Group for the Legal Marketing Association in 2017 and now sits as a Director for the Southwest Region Board of Directors of LMA. In 2017 he was named “Rising Star” by the League of Women Voters. In college, Greg was a founding member of the gay-straight alliance, P.R.O.U.D. (People Respecting Other’s Unique Differences). Greg consistently gives back to his community, profession, and others. He was recently inducted as the first male president of the Houston Bar Association Auxiliary. Greg is also a member of the Kiwanis Club of Houston who’s key objective is to serve the community through service projects fostering these ideas starting with high school students through their high school level, Key Club. While in high school, Greg served as Lieutenant Governor of Division 23 of the Texas Oklahoma District of Key Club. An avid runner, Greg has completed the Aramco Houston Half Marathon in 2015 and 2017. He enjoys seeing the sites of Houston via running and can often be found at Buffalo Bayou Park running along the bayou. Greg has attended Pride celebrations throughout America but will always hold Pride Houston closest to his heart. Besides attending the festival and parade on multiple occasions his favorite memory will always be when he was an employee in the Mayor’s Office. That year, he had the honor of riding as extra detail to Mayor Annise Parker following her car and leading Andy Cohen down the parade route. He is excited to see what new experiences and memories he makes as a board member of Pride Houston.